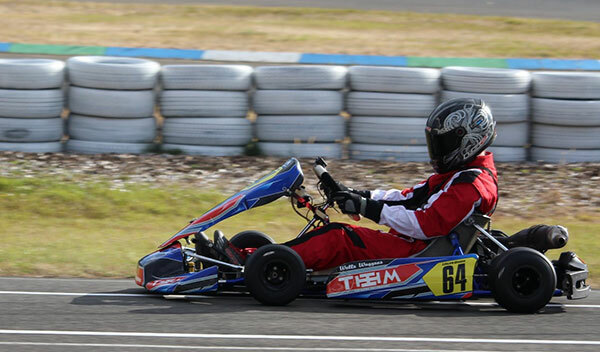 The Launceston Kart Club held the first round of the Tasmanian Statewide Series over the weekend, with support from Direct Access and Equipment. The weather was superb over the two day meeting with close exciting racing across all classes. 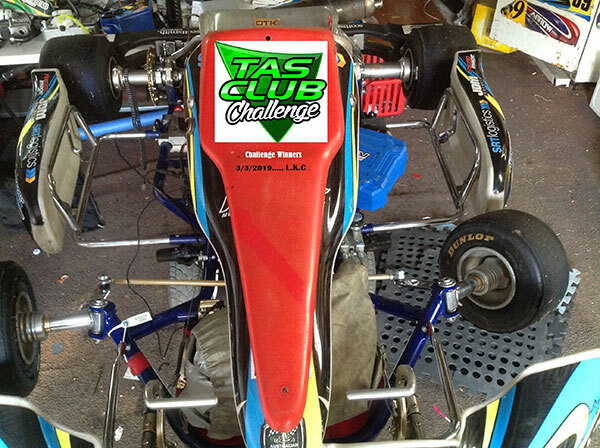 The meeting also included the first Tas Club Challenge with the four state clubs vying for supremacy. In the end the home club took the honours with just 4 points separating the four clubs. On track there was plenty of action with a host of new lap record set. One of the more remarkable events occurring was during the Cadet 9 final. With only a small class of four, it was a cracker of a final with the top three of Kahley Luttrell, Grayson Dickson and Rhys Jeffrey all nose to tail with first time competitor Jasper Dorman in fourth. However, on lap 7 the three leaders all came together at the bottom hair pin. With all 3 karts stuck and unable to move, young Jasper just needed to pass the stricken trio to claim a “Bradbury” type win – but the young fella decided to stop and make sure his fellow competitors were ok, resulting in a no result final. Something you don’t see often! Cadet 12 had a good field of eight with AWC Motorsport Academy pilot Denzil Sargent taking the honours from Phil Cowles and Emilie Williams. KA4 Junior saw local Toby Callow grab the early lead, however mechanical issues dropped him off the pace with Elliot Bellars taking the win from Harrison Sellars and Callow 3rd. KA3 Junior was won by Fletcher Bellars from William Blair and Tyson Phegan who started out of grid 6. 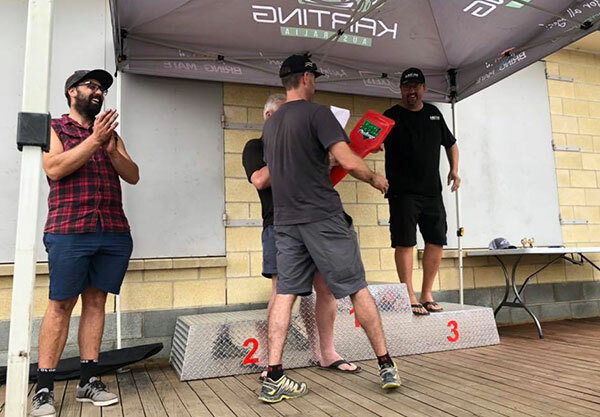 KA4 Masters was dominated again by Johnathan Males with Tim Hinds picking up 2nd from Shane Burdon. TaG Restricted Light looked like a clean sweep for Campbell Logan but mechanical issues on the roll up lap of the final took care of that. Tim Piper won the final convincingly from Brodie Sward and Jonty Darcy. TaG Restricted Medium was won by Shane Stonehouse after a good battle with Scott Hildyard. Declan Sherburd was 3rd. TaG Restriced Heavy saw a good race out front with Allen Sheahen holding out Caitlin Fitch with Jordan Jones third. KA3 Senior Light had Logan Dixon out front all day (apart from a DSQ for no transponder in heat 3) and duly took the win from Gemma Wyllie and AWCMA driver Calvin Broad. KA3 Senior Medium had the biggest field of the day with 12 starters. Mitch Evans took home the spoils from Jordy Distill and Alastair Lee 3rd. 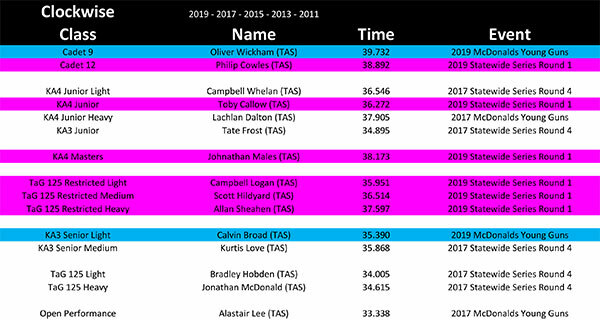 Full results can be found on speedhive HERE. 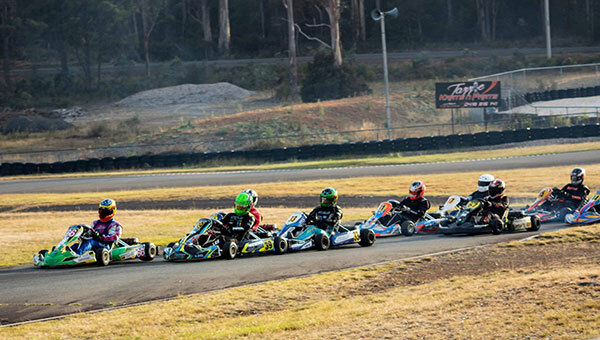 The next round of the statewide series will be held at the Circular Head Kart Club on April 27/28.